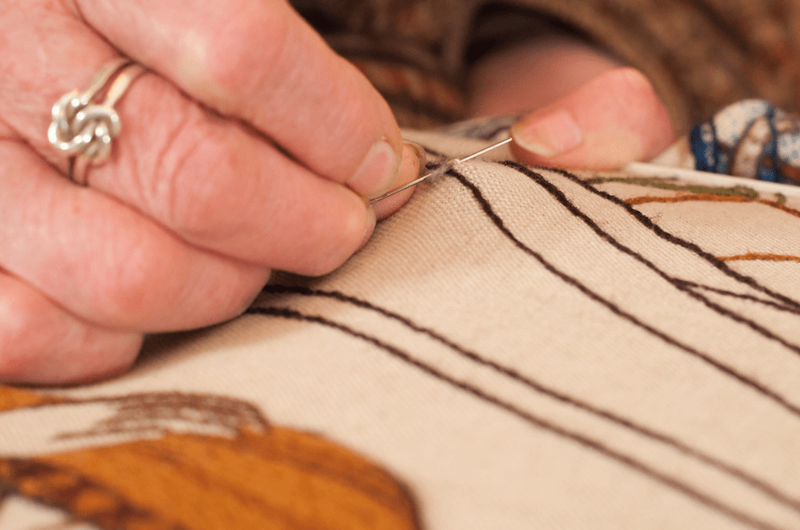 More than 500 volunteer stitchers from practically every area of Scotland are involved in what will be the Great Tapestry of Scotland. This huge community arts projects, which began in Autumn 2011, aims to create a series of over one hundred and forty panels that tell the key stories in Scottish history – everything from Duns Scotus to Dolly the sheep. The tapestry is set to be finished by August this year and will be displayed in the Scottish Parliament in September, before going on tour in Scotland and abroad. Keep up to date with the final spurt of the Great Tapestry of Scotland on Facebook. Posted in Uncategorized and tagged Edinburgh, Scotland, scottish tapestry, stitches, tapestry, the great tapestry of scotland. Bookmark the permalink.